Emily Inspires! and the Abbott Dance Theatre are making a new dance piece in commemoration of the Representation of the People’s Act 1918. Stories shared in this meeting will contribute to the finished design, to be performed in early 2019. This workshop will focus on what you know and can discover about the first women to vote in your family and community and will feed into the storyline, choreography and design of the finished dance performance. The dance piece will shine a light on the physical and mental fight women have faced in their struggle for suffrage. Woven throughout the choreography will be references to the lives of particular suffragettes including Emily Wilding Davison, Dame Ethel Smyth and Emmeline Pankhurst. Emmeline Pankhurst, Emily Davison – and so many other women who fought for our rights … what do we still fight for, what will the future bring for generations to come? 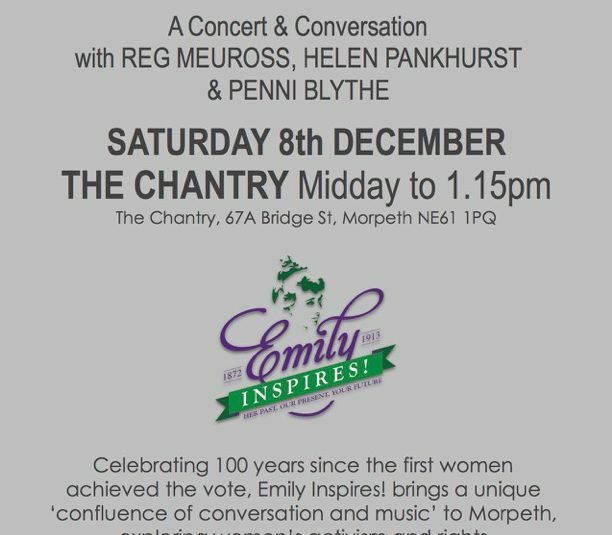 Come and join us and find out more – or tell us your story….which women in your family first voted?